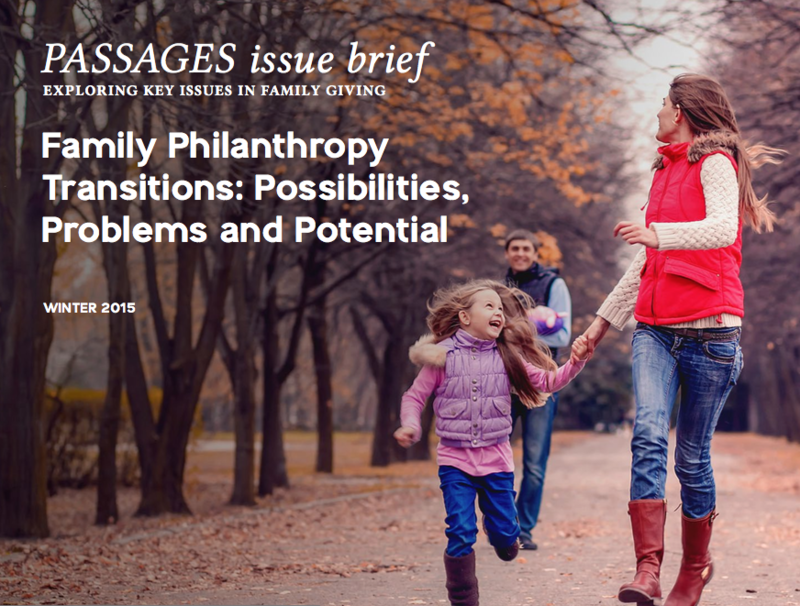 Even if your family foundation or fund is very new, chances are you have already experienced at least one transition in the lifecycle of your giving program. What have been the keep turning points in the life of your fund from the founders' initial concept to the present? Which transitions can you see in the years ahead? How do you remember those past experiences? Did you plan for them or were they thrust upon you? Were the outcomes more positive and promising or tense and tumultuous? - Frederick deWolfe Bolman, Jr. In the quote above, Dr. Bolman encourages us to be the architects of our philanthropic futures rather than the victims. This Passages Issue Brief explores the circumstances and dynamics of transitions and shares the experiences of practitioners in dealing with them.